The two more complicated series are over as well, as the Oklahoma City Thunder and the Indiana Pacers took care of business on the road in game 6. The Thunder beat the Los Angeles Clippers 104-98 behind a huge night from Kevin Durant and some officiating help; the Pacers knocked off the Washington Wizards with a 93-80 victory, led by David West this time. For anyone who isn’t a Thunder fan, there’s a bad taste in the mouth from the way their series against the Clippers ended. Not just what happened in game 5 that is old news by now and it doesn’t really matter anymore, but also some calls, especially the charging call on Blake Griffin with 3:11 to go or a weird foul on Chris Paul that stopped a DeAndre Jordan dunk. Everything boiled down to the point in which Clippers fans began throwing drinks to try and hit the officials. Basketball-wise, this game had the same characteristics of the previous one. The Clippers build a big 16-point lead but then the Thunder go on a 30-10 run that stretches through the 3rd and 4th quarter. Kevin Durant was good all through the night this time, finishing with 39 points and 16 rebounds, making it yet another closing game that he shined in, like in the Grizzlies series. 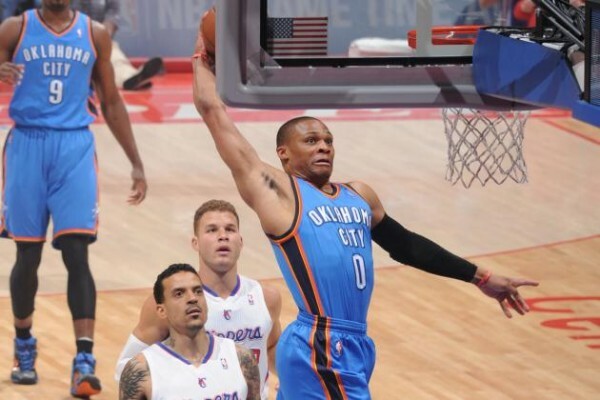 Russell Westbrook had a very rough start (4-of-15 from the field) but scored 10 of his 19 points in the fourth quarter as he finally began attacking the rim instead of settling for the bad shots he is known to make. Weird X-Factor of the game? Nick Collison. Serge Ibaka left in the middle of the third quarter, but Clippers players actually had an easier time with the best shot blocker in the league on the floor. Collison kept the guys he was guarding at 3-of-11 from the field, all during the final 19 minutes of the game. Serge Ibaka allowed 7-of-14 from the field with 16 points, as the Clippers lost their heads and their form midway through the third quarter, going away from what brought them that far. In Washington, the Wizards once again showed that home court means nothing to them, winning only one playoff game at home through the postseason. 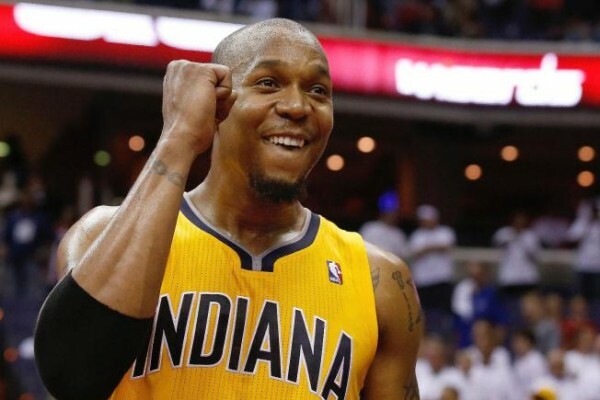 The Pacers have relied on someone else in each game in the series, and this time it was David West with 29 points, being a driving force, especially after Washington finally took the lead with just over eight minutes in the game after a Bradley Beal 3-pointer. The Wizards can only blame themselves. They didn’t move the ball as quickly as they did in game 5; they didn’t attack the rim until their big run going into the fourth quarter. John Wall was back to his struggling routine, scoring only 12 points on 5-of-16 from the field. Marcin Gortat was good but not massive and no one from the bench showed up to try and save the day for a team that won its first conference semifinals game since 1982. The Pacers continue to baffle us all with how they shift from terrible to effective in the span of two nights. Paul George and Roy Hibbert combined to score only 23 points, but the defense that kept the Wizards from dominating the offensive boards was there all night long. Like in most of their better moments this postseason, the defense started playing like we all know it can. The Thunder know head into a series with a team they’ve beaten four times during the regular season. The Pacers head into a series against a team they finally have home court advantage against, but probably aren’t favorites considering how these playoffs have gone.